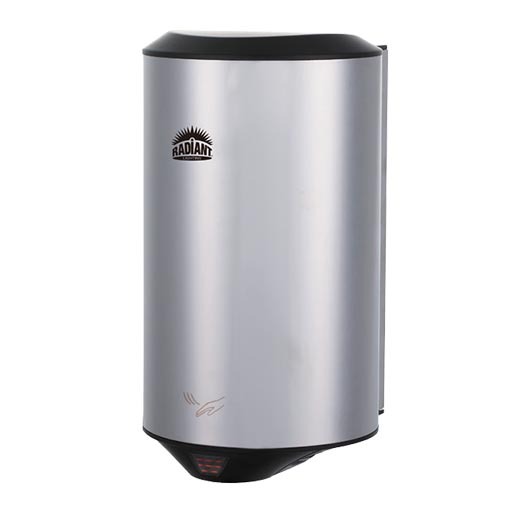 Fully automatic hand dryer with innovative mini design with teardrop profile. No touch drying reduces cross-contamination. Available in matt (brushed) or polished stainless steel. Radiant HD141SST is a fully automatic hand dryer with high speed. 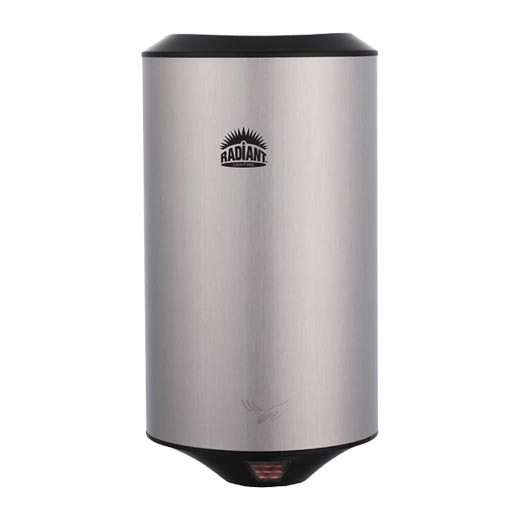 It comes equipped with an automatic heating and cooling system which blows cool air in the summer thus not adding additional hot air in the washroom and saving on electricity; and blows warm air in winter helping to dry hands faster. The built-in timer stops the hands dryer after 90 seconds of irregular use preventing user abuse.